In today’s article I want to write about the best jewelry scales for the money. We wrote a similar article a few years ago relating to the best scales for weighing gold. Please note this is not an article about the lowest price jewelers scales we can find. We are focusing on quality, accurate, and dependable jeweler scales. So what is the best jewelry scale available? When I think of weighing precious metals like gold or silver, I usually think of A&D Weighing and their selection of NTEP approved compact balances. The majority of digital scales are not NTEP approved. “Cheap” scales could never pass the challenging test that a scale must go through to actually be NTEP approved. 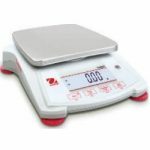 Usually cheaply made digital scales are built with low quality load cells and components. However, when you buy gold scales such as the A&D EK-i for weighing goods sold by weight you know the scale was tested by the manufacturer and NTEP as well. In our opinion, there are four lines of scales to consider when you are talking about the best jewelry scales in America. A&D, Ohaus, Vibra, and Rice Lake are our recommendations. Please see below for additional diamond scales information. If we had to pick (1) best jewelry scale, this might be our choice. Pioneer Carat Plus’ draftshield is constructed of glass and can be opened and entered through its three sliding glass doors. With a bright backlit LCD display and auxiliary display available as an accessory, Pioneer Carat Plus’ displays can be read even in dim light. Scout meets Class ll and III accuracy requirements for countertop retail applications. Integrated superior overload protection systems protects balance from damage ensuring durability in everyday applications. The Scout SJX is equipped with a bright white backlit display which shows the net weight of precious metals and stones clearly. An optional auxiliary display can also be installed. Stabilization time as fast as 1 sec means quick results and increased efficiency. Equipped with superior weighing technology, the Scout also ensures repeatable and reliable weighing results. With gram, carat, grain, and ounce weighing units, as well as a calibration weight and gem scoop on all carat models, YJ was built to meet the jewelry industry’s weighing needs. The large square weighing pan on this jewelers scale can accommodate large amounts of precious metals and gemstones in one batch. Powered by two ‘AAA’ batteries, a power-saving auto shut-off feature helps to conserve battery life. The simple, straightforward design of Rice Lake’s TP Series balance creates for an effortless user experience and makes it a top contender for the title of best jewelry scale. The TP series is equipped with the unique Mono-Metal Tuning Fork Sensor (MMTS), this balance series brings remarkable response time and exceptional stability to any setting. Functions that are easy to use and understand come standard with the TP Series balance. Enhance productivity with modes such as unit counting and percentage weighing. Adapt to any type of standard with the ability to weigh in 12 different measurement units. The compact and manageable size of the TP Series balance is suitable for even the most limited of space. A footprint smaller than a sheet of paper makes it perfect for crowded work environments. Each balance performs with incredible sensitivity and stability by relying on its dynamic tuning fork sensor. Plug in and go without waiting for stabilization. When you’re evaluating jewelry scales, often you might see something like “e”= 1g and “d”= 0.1g. “d” is the division the scale is capable of displaying. The “e” is the NTEP legal for trade division the scale was approved for when the NTEP certificate was issued and the scale received a certificate of conformance. This is sometimes listed as certified readability. A quick example might be as follows. A scale CAN display readability to three decimal places such as 0.001 grams. However, the LEGAL FOR TRADE readability is only two decimal places, such as 0.01 grams. This is a quick look at the best jewelry scale in our opinion. Unlike our best scale for weighing gold entry we did a few years ago; this time we didn’t actually narrow down your choices to just one scale but we did provide you with a group of highly respected digital scales that are made by reputable scale manufacturers. If you have any questions or would like a little additional buying insight, contact our customer service department.